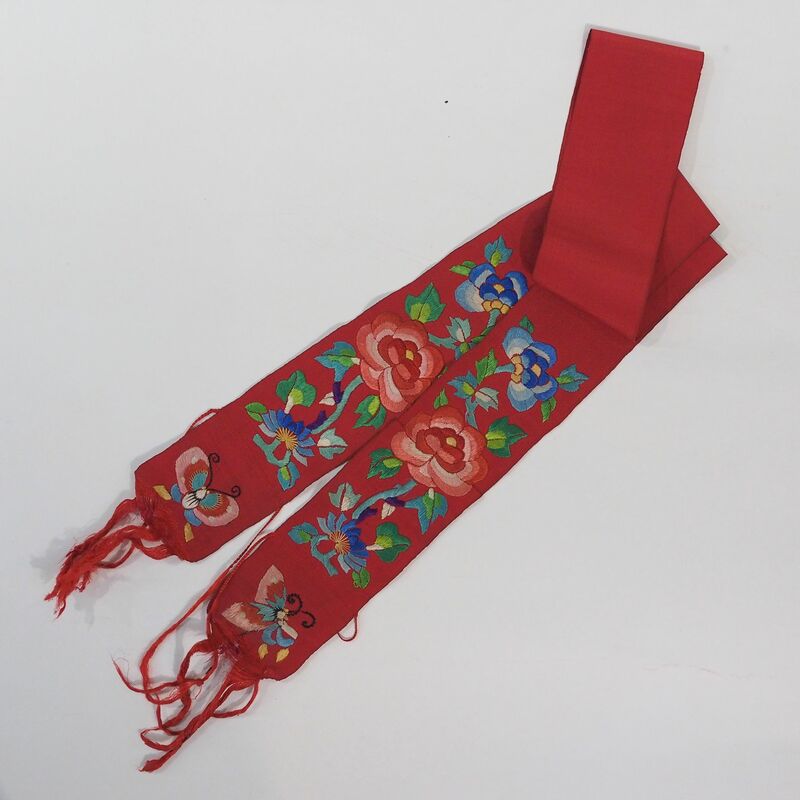 This embroidery band is for the tying the end of the trouser leg. This was part of a typical Chinese costume until the introduction of the western style garments, you can still see the older generation still keeping up this tradition. Along with the long Manchu grown “qipao”, the pot bottom shoes and the pig tail imposed in China by the Manchurian. Before setting up the Qing dynasty, the Jurchen tribe was a nomadic tribe who often spend their days on horse back, the puttee was a beautiful functional accessory for their costume.